Tonight, Johnny Zabaneh is called a Kingpin no more - the US Treasury Department has lifted that designation from his name. This is five years after they pretty much ended life, and business as usual for Zabaneh. The Kingpin Designation served a deathblow to his entire Mayan King agro - enterprise - which at the time was the biggest banana producer in Belize. 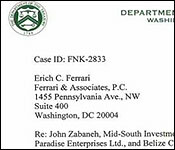 The US Office of Foreign Assets Control spoke about a "John Zabaneh Drug Trafficking Organization" and called him and his alleged associates, "Sinaloa Cartel Operatives in Belize." 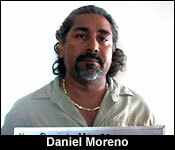 His alleged associated included his nephew Dion Zabaneh and Corozal's Daniel Moreno. Zabaneh denied it as energetically as he could, and he did so everywhere he could, but the stigma was too great: no one: no bank, no supplier, no service provider would do business with a man bearing the Kingpin designation. Well, today, without even an apology, the US Treasury Department has lifted the designation. They say, quote, "This letter informs you that effective as of the date of this letter, you and your companies are no longer designated as Specially Designated Narcotics Traffickers. 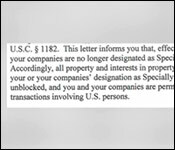 Accordingly, all property and interests in property which had been blocked solely due to your or your companies designationâ€¦are unblocked and you and your companies are permitted to engage in any lawful transactions involving US persons." Easy as that. But, in truth, not easy at all - nowhere near easy! Zabaneh and his family's lives - as well as some of his business associates - were thrown into complete upheaval by the designation - and that's just on the personal level. At the business level, the banana industry lost its biggest producing farm, and hundreds of workers lost their jobs when Mayan King Enterprise, was forced to close after Fyffes had to cut ties with the farm. And now five years later, like a magic wand to undo a costly curse, the US Treasury Department says it's over. Via text today, Zabaneh said, quote, "I'm sort of speechless and don't know weather to cry or laugh after so much suffering and loss." He did put out an official press release, saying, quote, "From his designation over five long years ago, Mr. Zabaneh has strongly and adamantly professed and maintained his innocence to no avail. As time passed, the impact on Mr. Zabaneh and his family has been severe as Mr. Zabaneh has suffered heavy losses, not only financial and reputational, but also serious emotional distress as they have been abandoned, even shunned, by many friends, financial institutions and business associates. Fyffes' actions, in particular, led to the complete shutdown of the entire banana farming operations linked to John Zabaneh and his family on the basis of mere media reports concerning his designation causing losses of hundreds of jobs. As Mr. Zabaneh's innocence has finally proven out, he and his family are hopeful that the business community and the government will now support their efforts to restart and restore those businesses that brought meaningful benefit to so many workers and their families in the South." End quote. Zabaneh has said he may have a press conference sometime down the road. Now, there are still questions. First, what about the other two men designated with him: Dion Zabaneh and Daniel Moreno? Well, OFAC today posted on their website that both Johnny Zabaneh and Dion Zabaneh and their companies have been removed from the Kingpin designation. Very notably, Daniel Moreno remains designated. "So I am dealing with it directly and personally. I'm in connection and I am saying this to the world. Every will be hearing what I am saying. I am dealing and communicating directly with Washington and OFAC. And I as I am sitting here answering your questions, if I had any connection with Chapo Guzman or any of his kind, hearing this I would be in deep ____. I can only tell you I'm in communication with Washington and I am hoping that someday soon I will get and invitation from them for an interview. To sit in front of an investigative team. 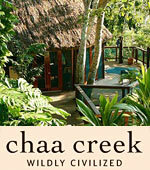 They have indicated to me that I will hear from them soon concerning the personal meeting." We don't know what came out of those meetings - and if they had any effect on today's announcement, but Zabaneh has been low key since then working his efforts in the background. 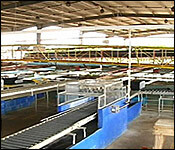 This is the company's Packing Shed #25, one of 4 facilities belonging to Mayan King Banana Farms. 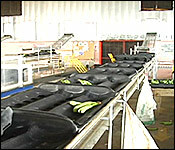 The purpose is to prepare fully grown bananas, that have been picked off the trees, to box them for export. The final destination is Europe where Fyffes will market them. Normally, this packing shed - like the other 3 - would be bustling with activity where just under 100 workers should have been washing and sanitizing the bananas, and packing them into boxes to transport to the BGA. At Mayan King of about 600-800 workers are usually hard at work from about 8 a.m to 5 p.m. on the weekdays to produce boxes upon boxes of exportable bananas at all 4 sheds. 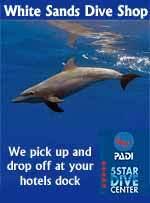 "We use to do 1,500 - 1,600 boxes for each packing shed and the 4 shed are working 4 days a week. 1,500 per boxes per day is 4,600 boxes per day and that is what we produced." "How much does a box of bananas cost?" "Right now the price is very low, about $14 per box. In January it goes up to $20 per box." "That's several thousand dollars that you are losing because no productivity is happening today right?" "Definitely. Lots of money is losing." To be more specific, that's approximately 84 thousand dollars per day being wasted in non-productivity. But, since Thursday, it's been like this shut down, and forlorn, a foreshadowing of what may come since the company is in danger of going under. "On Thursday when they told me, I got a shock when they told me that everything is closing down, because they are not taking any fruit from us. Right away I had to call the captain and I told him no packing, no work. And he ask why and I told him that is the message that I got. 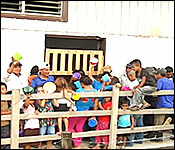 Up today I don't know what is happening because hundreds of people are in the compound and we are feeding all of them." There, meaning the Maya King Housing area, where we found a few hundred of employees frustrated, emotional and ready to demonstrate against what they believe is the injustice being committed against them. They suddenly find themselves out of a job. Their children cannot go to school because the parents cannot afford to send them, much less feed them. 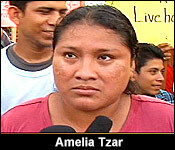 "I have children here and we want food for our children and I want them to give back all our jobs." "Our father need to work and we want to go to school and that is not fair because we need things for our school and if we don't go to school, that is not fair. 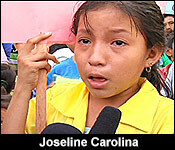 Our father needs money to pay our school." "We are starving. Everybody needs their job. Watch how many children are here already. Everybody want their job, so please." "We need our job. That is important. We need the job. This is not right. 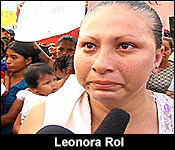 We need the job, because lots of people are not eating." "Please I need a job." "Men and women are right here. You could see a crowd of people. They need jobs. I need a job." 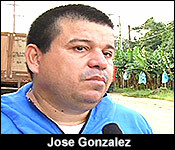 General Manager Jose Gonzalez says that he and his employees were blind-sided by the severity of Fyffes actions. 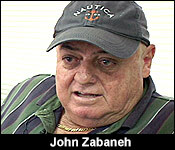 "I want to retract or to go back 3 years ago when things were really hot for Mr. John Zabaneh. That was the time that they designated him as a king pin and obviously everyone was paranoid to deal with him - everyone. Myself included obviously. But at that time Fyffes did not put this drastic measure. They did not call up this drastic measure of cutting us off completely. It's really baffling that 3 years later, when everything has cooled down. I mean you have not heard his name. Now they are paranoid that okay, we have to cut ties and so it doesn't add up. We can speculate basically that they might have ulterior motives and they are just really washing their hands by saying oh Mr. John Zabaneh is king pin, so we can't do business. But like I said, it does not add up and it does not compare to what they did 3 years ago when things were really bad." The company's staff is hoping that the rest of the world will take notice of their sudden suffering, shake their heads at Fyffes International, and that they will get a international black eye. That, they hope will force their hand in rolling back this sudden embargo. "Are you all worried that you will never recover from this?" "It's getting to the point of no return. I think practically speaking we are still about 2 weeks from that point of no return. Every day that passes that we do not take care of the bananas represents probably a week of recovery time. I would say within 2-3 weeks it's going to be monumentally difficult to recover the farms." Again, that story was from 2015. Yesterday Zabaneh sent out a release saying, quote, "As Mr. Zabaneh's innocence has finally proven out, he and his family are hopeful that the business community and the government will now support their efforts to restart and restore those businesses that brought meaningful benefit to so many workers and their families in the South." In order for Zabaneh to move on with his life, he now has to rebuild his businesses from the ground up. He says the ordeal has also taken a significant toll on his elderly mother whose Maya King banana processing company he had been managing. 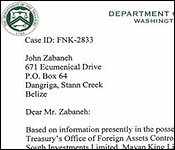 On last week Tuesday's newscast, we told you how John Zabaneh was removed from the US Treasury Department's KINGPIN list. 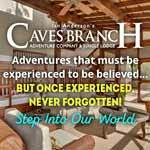 After 5 years of suffering, the Treasury Department's Office of Foreign Assets Control (OFAC) lifted the sanction they had placed on the Stann Creek businessman in August of 2012, which prevented pretty much anyone from doing business with him. 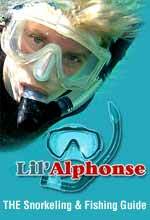 All banks, suppliers, and most of his business partners had cut him off. They would not conduct business with him or his family-owned companies because of the taint of the kingpin designation. 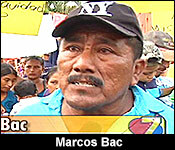 His family's fortunes were dealt a deathblow and the banana industry suffered after Fyffes ended its business relationship with his Mayan King Banana Farms, which was being managed by the company, Meridian. 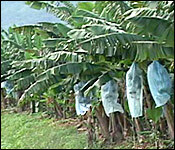 The Irish based fruit packing giant stopped buying their bananas because could not risk being associated with Zabaneh. That completely shut down Mayan King, the most productive banana farm in the country, and it drove Zabaneh's family out of business. But, last week, just like that, OFAC reversed their 2012 decision. He and his family are now on a long road to recovery, and today, we got a chance to have an hour-long conversation with him about a range of topics. "Throughout the entire ordeal before the letter was sent to you, were you ever in doubt that this sanction would be lifted? Was there any point at which you despaired and you were like you know what they truly are trying to end me?" "Sometimes that came to mind, but knowing and not thinking, knowing that I am innocent I had no choice and there was no alternative but to keep fighting and if it took 5, 10, 15, 20 years, that's it. I would just keep fighting. The alternative would be to just sit there and take it and accept that accusation and then sure, there are very few people out there that had that faith believe in me. Everybody out there I am sure "guilty as charge" - most of them really I can't blame. The US Government when they say something - that's it. Who will they believe? 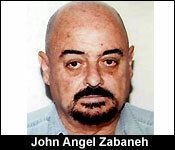 The US Government or believes John Zabaneh who has a past record. And if I had thought believe me this much, if I had thought that I in the least bit guilty of whatever. 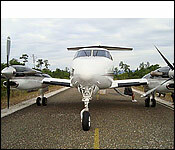 Maybe not the plane in Punta Gorda or PG or something else. I would keep my mouth close and hope it doesn't get worse. I would not go in the offensive like that. Keep quiet and stay in the corner, I don't want my name even to be called. But from day one I was on the offensive. No if, and, or but about it. People out there that are disappointed, people out there that will still think that he's just lucky, it's just luck. But for what's it worth, people like that there will be other people listening to them and know them for what they are - haters." "At the beginning I didn't even know what they were accusing me of. So I was just back and forth. I got permission to communicate with them. 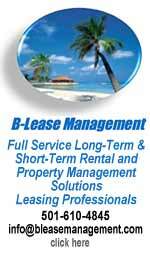 I got several questionnaires, bank accounts, the companies and we answered them effectively. They asked everything they had to ask and I answered everything I had to answered effectively. I offered to go to Washington or anywhere if they didn't want me to come to Washington, the US Embassy." 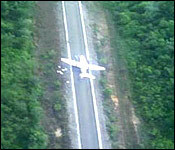 "When my attorneys lodge the complaint in the courts, they had to give a disclosure and in that disclosure they mentioned that plane that landed in the Toledo District on the highway and another plane that landed somewhere in Guinea Grass. Those are the two. If you can recall I had a suspicion of the one in the Toledo District. Why would I have a suspicion? Simple. 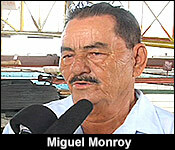 OFAC designation came about right at the same time the case was being tried in Dangriga. But from I understand it did not go to court and right after the de-listed me. So I believe that they decided or they thought "we don't have nothing to go to court." This would be my suspicion. I could not confirm that. I could not be a hundred percent sure what transpired there between them. But they produced their disclosure and right after this happened. Absolutely I would be seeking redress, seeking compensation whether it's possible or not. It's left to the attorneys and I am sure they are looking into that as we are speaking here today. Definitely I have stated my hope that that is the next step." "The banks went overboard here. They kicked out everybody. In the whole term nobody could pay me a cheque. If somebody bought a load of sand and gravel for me, can't pay me. That cheque would never be cashed. And it was just a real nightmare. Some at the banks were worse than others. First Caribbean was probably the most ridiculous and I don't want to mentioned, because we need to go on and I need to put it behind us and we need the banks to work with me to work with the banks. I am not holding this against them. 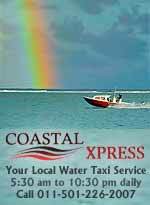 We could not access funds from anywhere. Not to get funds in our hands. To pay for fertilizer, to pay for things, chemicals, for bus hogging, diesel. The little things that everybody takes for granted every day, go with a card and swipe it and get cash - those things are so farfetched from us, from me that I don't know how I would feel to go into one of those little booths today and do that. I would feel funny. Every little thing that everybody takes for granted was a major undertaking just to get paid. 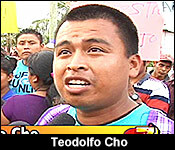 Imagine, what it takes for us to get money to pay our workers." 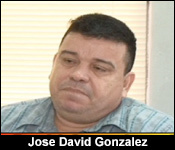 Zabaneh estimates that the Kingpin Designation costed him and his family in the vicinity of a 100 million dollars over the past 5 years. We'll have a little more on this in tomorrow's newscast when we'll compare what Mayan King Looked before the Designation, and how it looks now, after being shut down for 2 years. 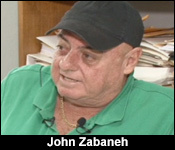 On last night's newscast, we showed you the first on-camera comments that Stann Creek businessman John Zabaneh granted after the US Treasury Department removed him off their list of drug kingpins. You heard him say that his attorneys are reviewing his case to determine if he can sue the US Government for the tremendous losses he and his family suffered. 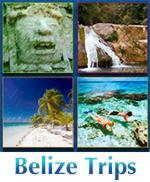 He estimates that figure to to be in the vicinity of 100 million dollars in losses over 5 years. 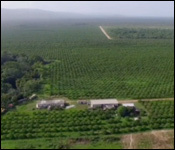 Perhaps the most striking example of the real time effects of the kingpin designation is the Mayan King Banana Farms. It was one of the most successful agro businesses in the south, but the US sanction struck like a hammer blow, sending it into the depths of complete ruin. This was a promotional video that the Management of Mayan King Banana Farms produced back in September of 2015, 3 weeks before Fyffes shut them down. Because the banana farms are such an integral part of the South, the Zabaneh Family, and their Management Company, Meridian, thought it a perfect opportunity to turn it into destination that tourists could visit and enjoy for themselves. As you can see, the farm was still producing at high volumes. 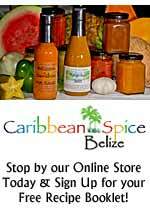 There were rows and rows of healthy bananas neatly growing, upon 1400 acres of land. 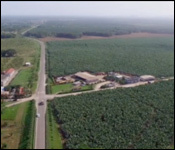 This was an additional 500 acres that Fyffes convinced them to start cultivating. That's important, and we'll get back to that later, but this is what the Mayan King Farm looks like today. With almost 2 entire years of neglect, nature has overtaken it almost completely. 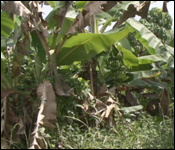 The wild bush and trumpet trees are slowly forcing the banana plants out of the fields they used to occupy exclusively. It's rather hard to distinguish the cash crop from bushy overgrowth that needs to be cleared away. 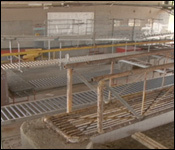 The equipment, and the banana packing sheds also look rather rusty from months of disuse. It's a massive undertaking to restore this farm back to what it was before the Fyffes shutdown, but, Meridian strongly believe that they can do just that. "I believe the bananas have basically gone to the wild variety or basically the've been abandoned from receiving inputs so they are there, you can see them but basically they are just withering away." "Do you think that they will be a rise sort of like a Phoenix return of Maya King under Meridian?" "Well, that is the hope." But, there is an outstanding issue here. The Zabaneh Family and their management company believe that Fyffes owes them compensation for the damages they suffered when the Irish Fruit Packing company decided they would stop buying Mayan King's bananas in October 2015. They believe that Fyffes acted irrationally, and costed them millions of dollars in investments, and earnings, all because they wanted to stay as far as they could from John Zabaneh's kingpin designation by the US Government. 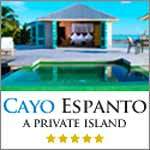 "From the beginning we had this open door policy with them but we did not get any engagement, there was just too paranoid. We think that there is a legal process in place and we're taking them to court because there is no other way to look at it but a breach of contract and an abrupt one at that because at the very least we would have liked a warning or at least a heads up for the people you know mainly. So there is a legal process in place and I think that is going forward and in fact this new revelation in the news of the delisting is actually going to strengthen our argument that there was nothing to fear and they shouldn't have done what they did so we're going to continue on with this process, this legal process, the lawyers are advising us and we'll see how that pans out but they are free to contact us and dialogue as well." And to understand why the Zabaneh family and the Management company feels especially betrayed by Fyffes, it all leads back to that 500 acres of land, which they say that the multinational convinced them to start cultivating. This part of the field used to be filled with citrus. 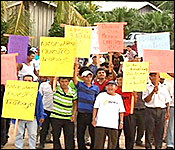 Zabaneh and his family had already given up control of Mayan King to Meridian Enterprise, and they say that Fyffes contacted them asking for an increase in production. It was like pulling teeth to convince the family that they should remove the citrus crops which they were already cultivating on this land. 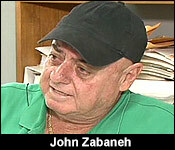 John Zabaneh's only influence over decision making was as his mother's representative, who owns the land that the farms are on. 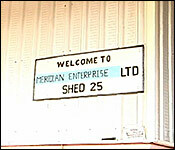 Day to Day management and operation was left to Meridian. Zabaneh recalls trying to convince his mother to take up Fyffes plan. 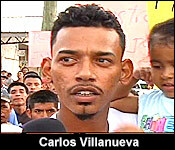 "These were the head knockers of the Fyffes, the people who made decisions, people from their headquarters in Costa Rica. Of course it was not my call or my decision on it to say yes or no, this was clearly to take out citrus farms to put in bananas, that's a serious decision and we're looking to close to 500 acres, somebody that has 500 acres is a big grower, is a huge grower to replace with bananas but they were so encouraging and so adamant that I had to use heavy influence over my mother because my mother, we all grew up with citrus and to take out citrus to but bananas? Anyway we end up doing it." 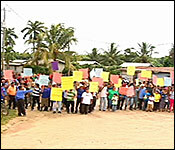 So, they did it, and then weeks later, Fyffes cut ties with Mayan King and Meridian Enterprise. 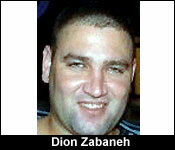 That investment was never realized, and the Zabaneh family lost money from the citrus that had been removed. "So we not only lost what right at the time that these farms were just starting to produce, boom they closed us down. The banana - never even realize any benefits from those farms and of course the citrus production, that acreage was no longer there. So you call it a double loss what ever you want call it." 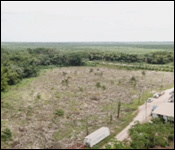 So, with the Kingpin Designation lifted from John Zabaneh, Meridian hopes that business partners, the government and other partners will come back to the table to turn Mayan King Banana Farms back into a profitable enterprise once again. "We're hoping that with the new revelation in the news that the designation has been lifted, we believe that we will now be able to explore possibilities, more players will come to the table, government will be a lot more free to engage us." As for Zabaneh, taking back managing control of the farms, he says that ain't gonna happen. If Fyffes wants to settle or resume business relations with the farm, they need to speak with Meridian and its director. "I have gotten messages from the high people in Fyffes but and I have heard through the vines different offers and so but I made it very clear that I am no Meridian, I am John Zabaneh. Don't come to me, my influence is not good, I am not a banana man so they will have to now discuss what ever to do with bananas with Meridian and don't look forward to my intervention." Zabaneh told us that at the height his struggles, he received many offers from persons wanting to buy his family's properties at fire sale prices. 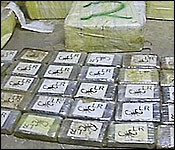 He said that he and his family refused, knowing that the day would come soon or later when the US Government would lift the Drug Kingpin Sanction.